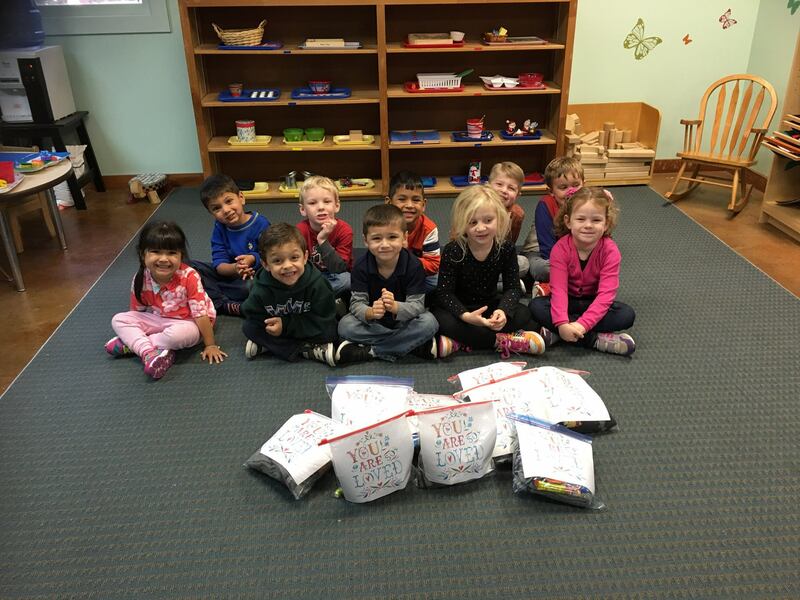 Mrs. Cochran's class made blessing bags for the homeless of Midland for their Community Project. 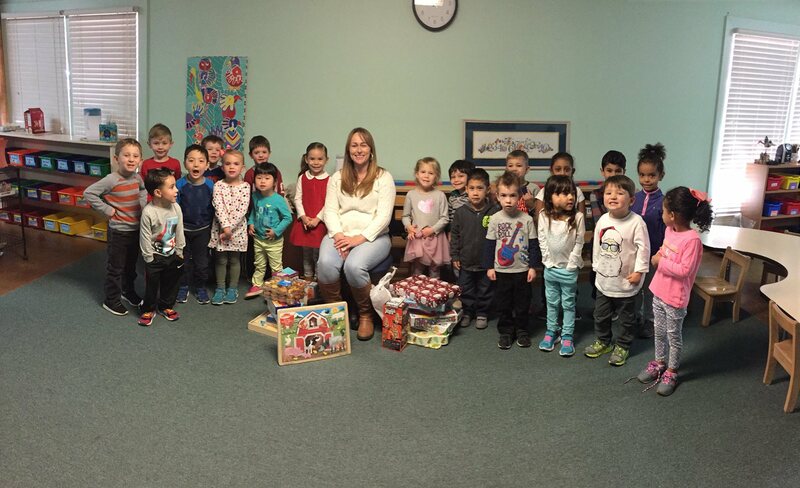 They were given to the Breaking Bread shelter to hand out at their Christmas party. 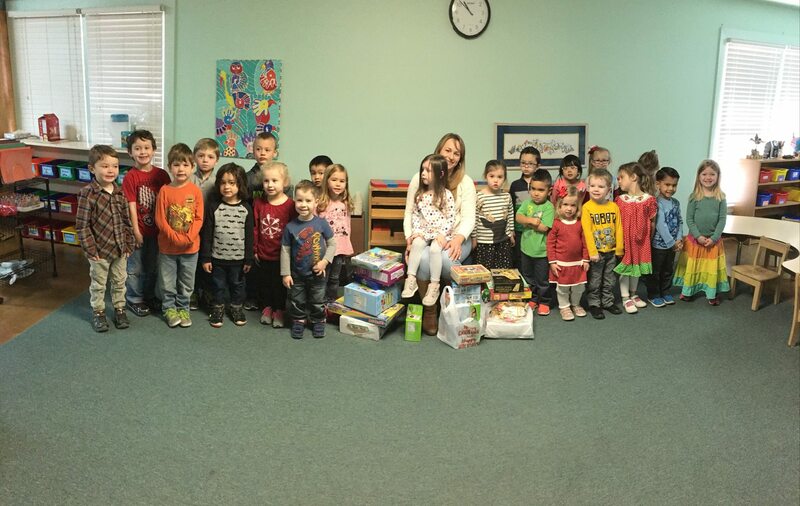 Mrs. Courtney's and Mrs. Scarborough's class presented games and snacks to the children of Mission Messiah for their community service project this year. 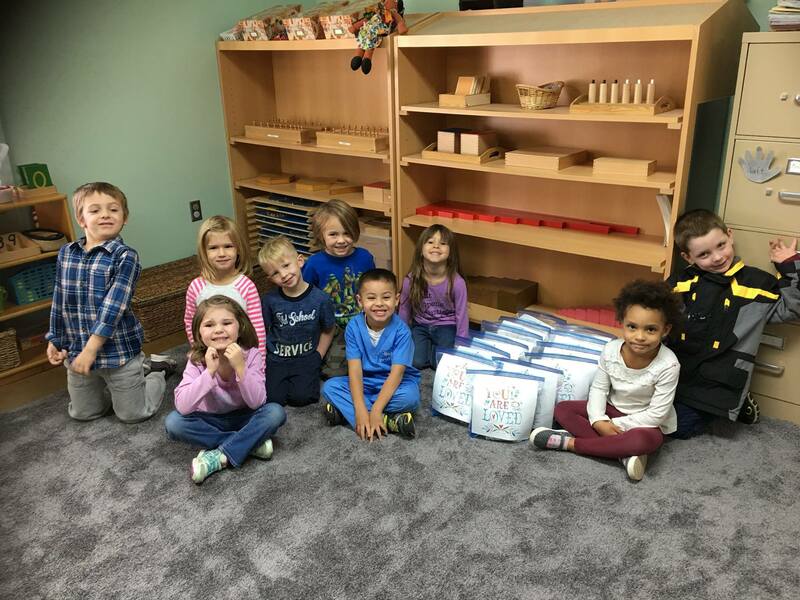 Mission Messiah is an eighteen-month, faith-based, residential program for women and their children and they will be having some wonderful game nights thanks to the giving spirit of our Prek classes. 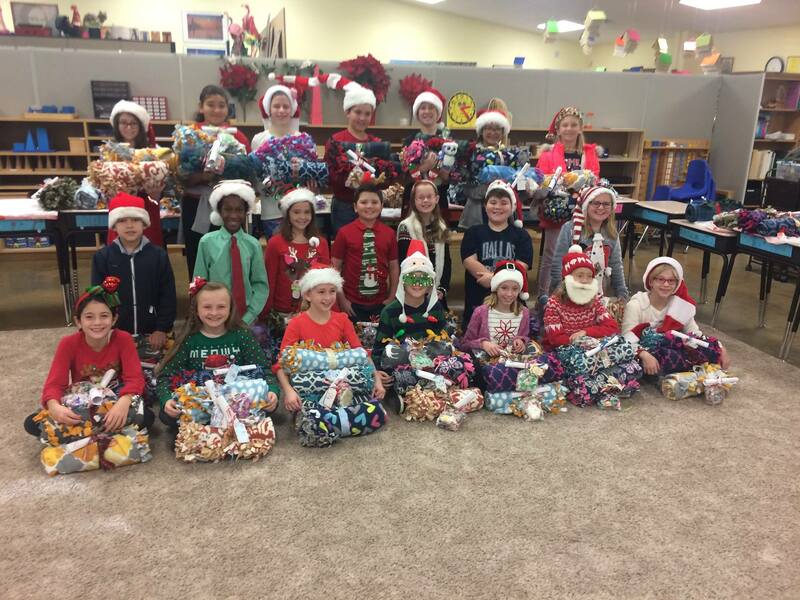 Every year our Upper Students visit Hillcrest and give gifts to their residents. This year the staff at Hillcrest created a wall of some of the past years poems and pillows that the students have made. Just shows how much this small act of kindness the students perform every year has on their community. So proud of their dedication and love of giving. 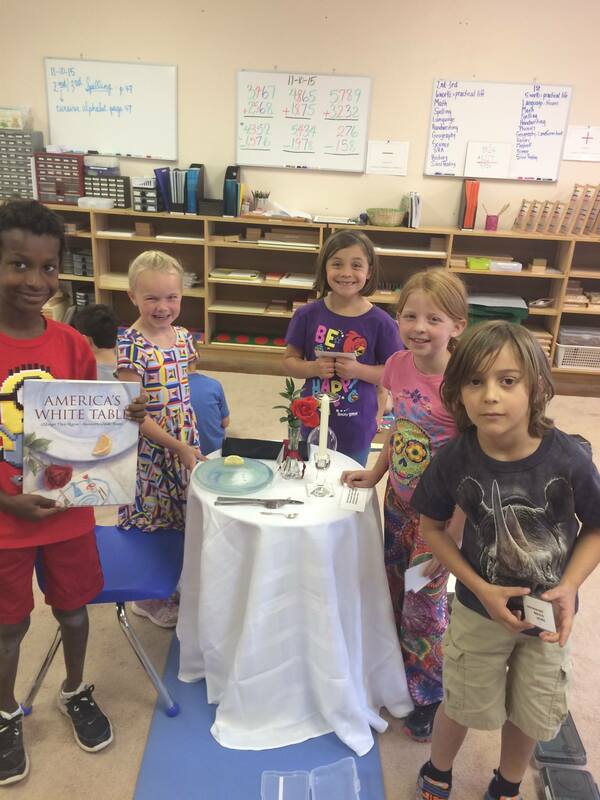 Our Lower elementary students setting a White Table for all the servicemen and women that are unable to join in on their family dinners because they are serving our country. Beautiful! 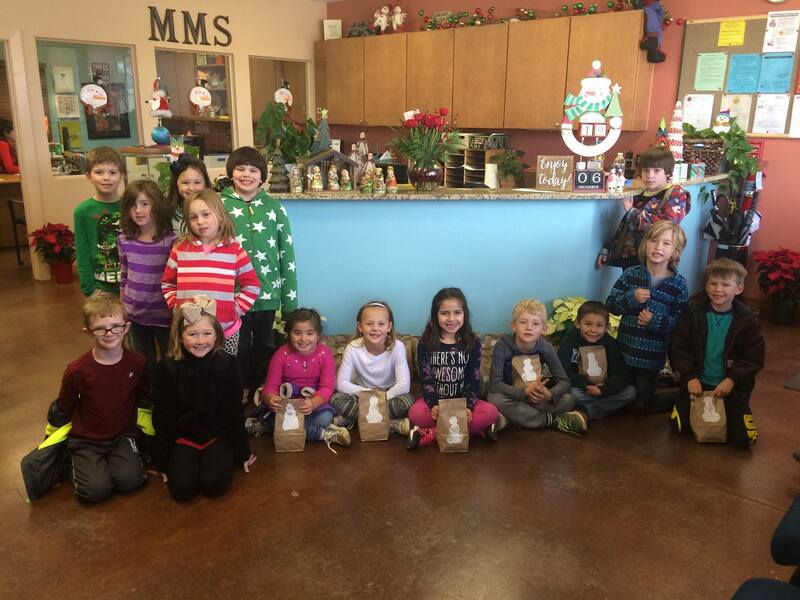 Our lower elementary students decorated and put together goodie bags for the Jubilee Center. Pictured below are several of our 1st year students.